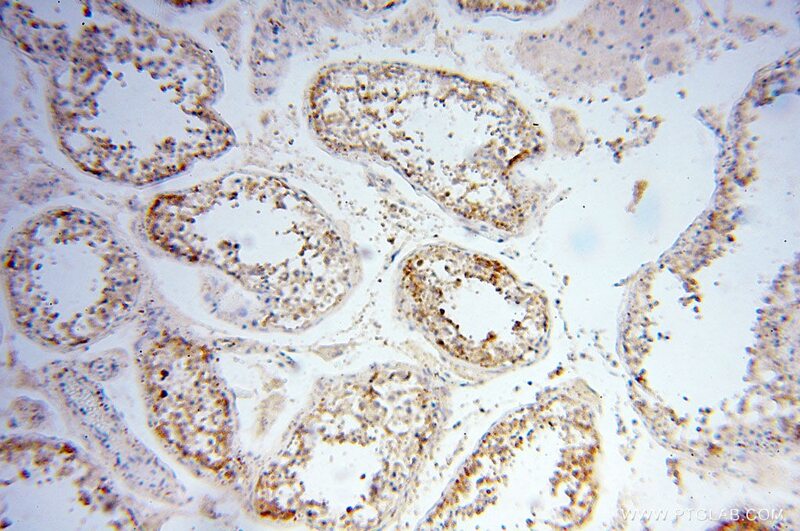 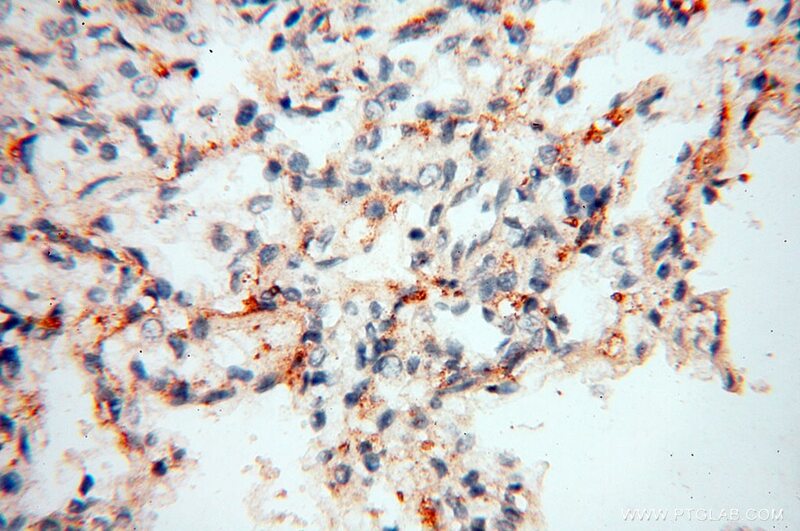 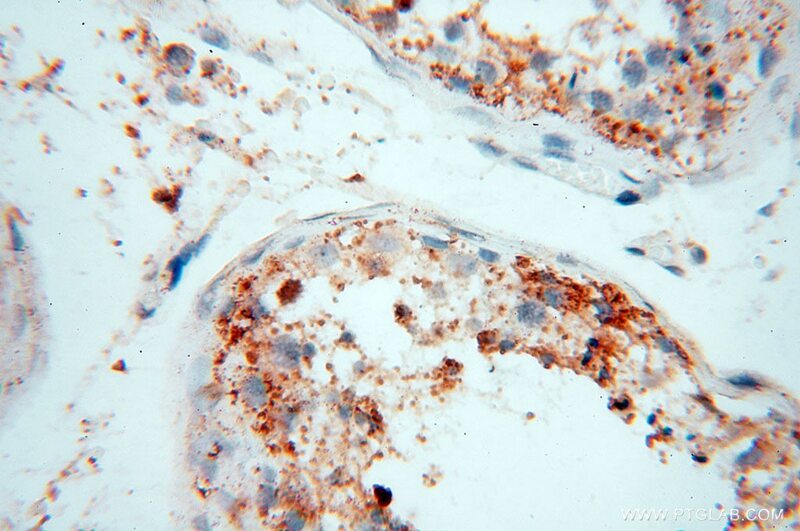 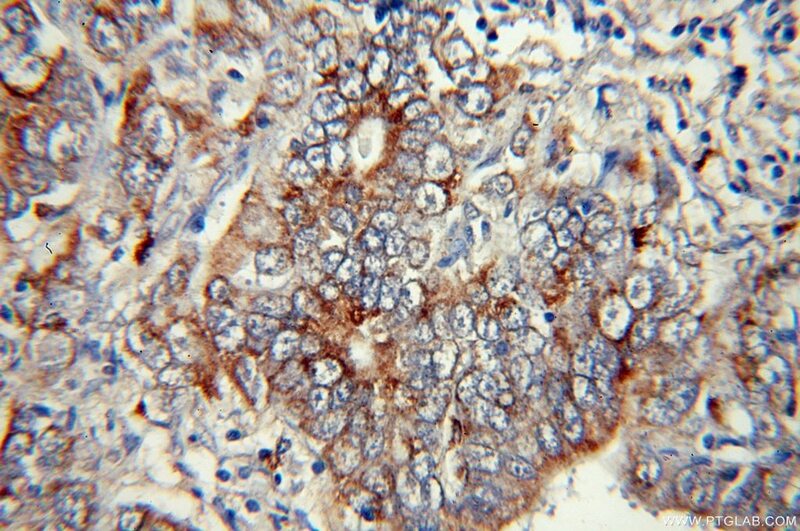 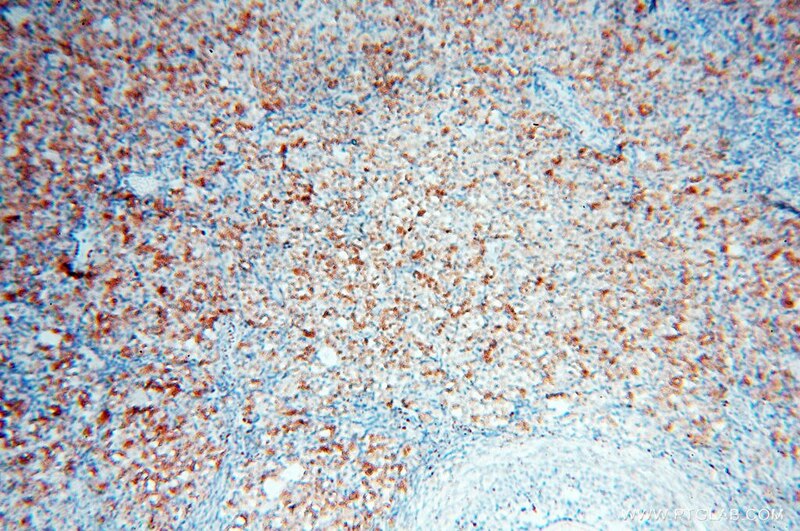 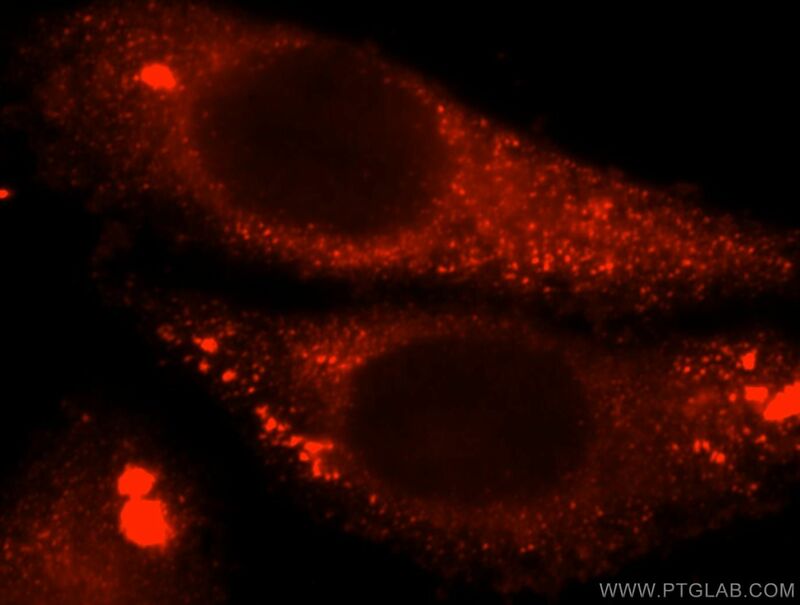 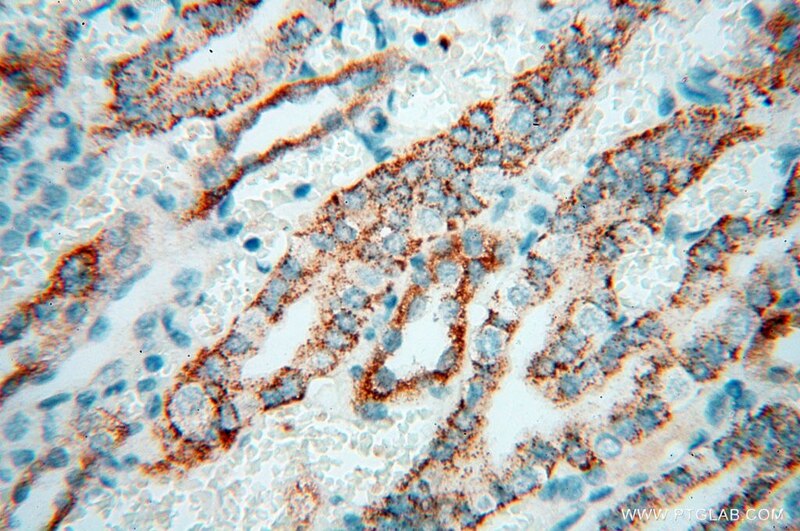 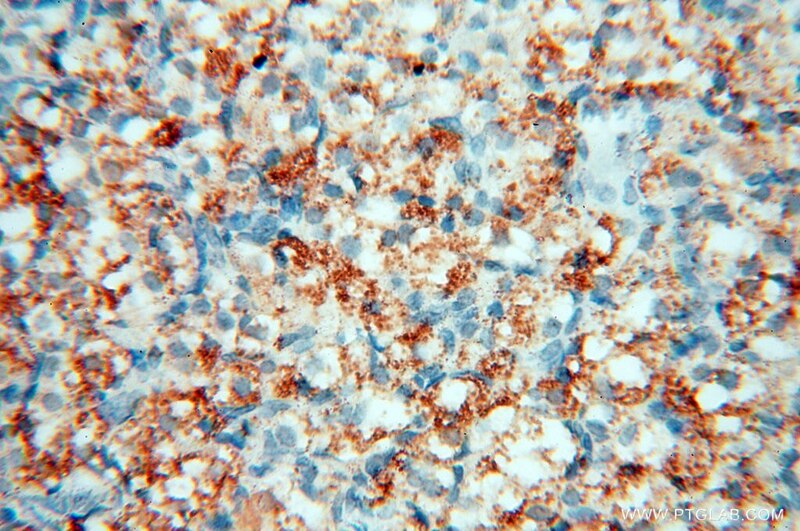 Immunofluorescent analysis of HepG2 cells, using CAPN9 antibody 17556-1-AP at 1:25 dilution and Rhodamine-labeled goat anti-rabbit IgG (red). 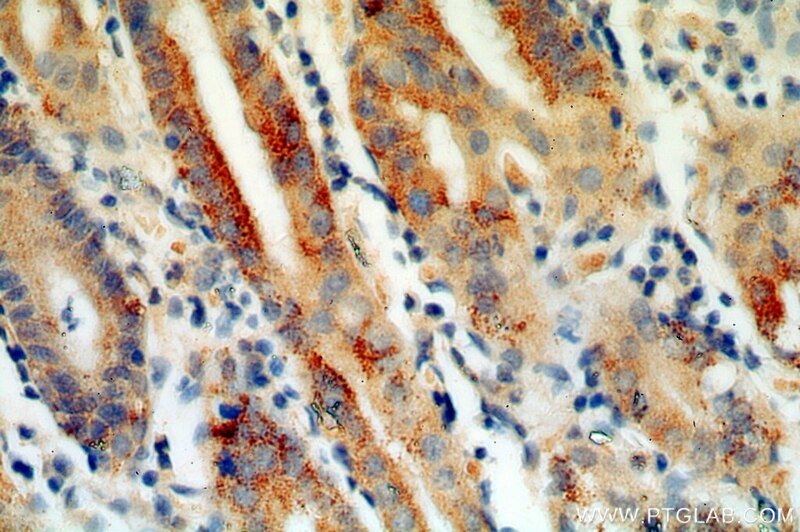 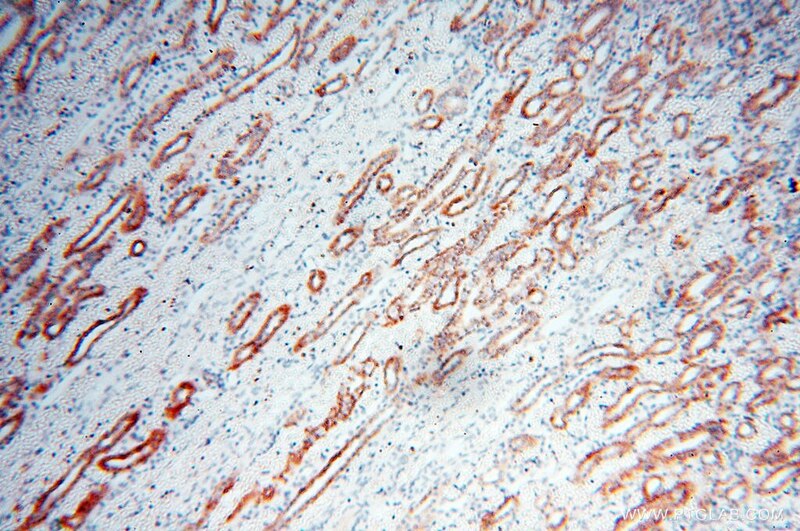 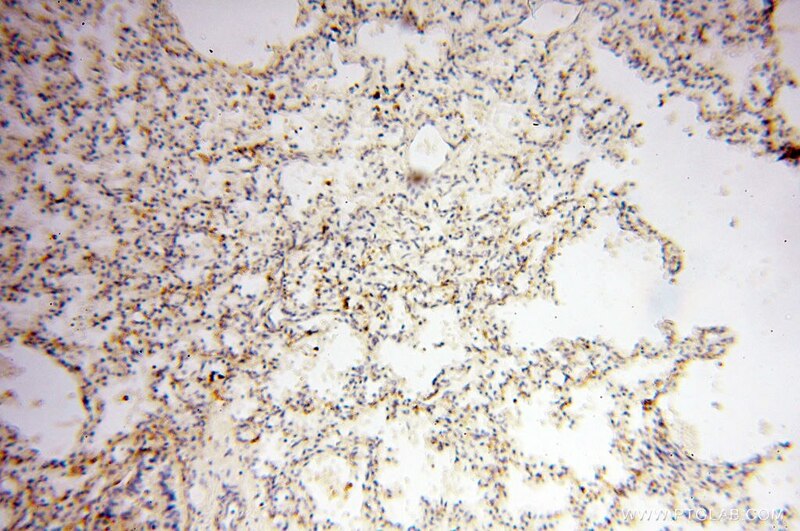 Calpain 9 is also named as NCL4 and belongs to the peptidase C2 family.It can be down-regulated in gastric cancer tissue and in gastric cell lines of differentiated and poorly differentiated types.It is predominantly expressed in the gastrointestinal tract and restricted to the gastric surface mucus (pit) cells in the stomach and the function of it is implicated in suppressing tumorigenesis(PMID:20686710). 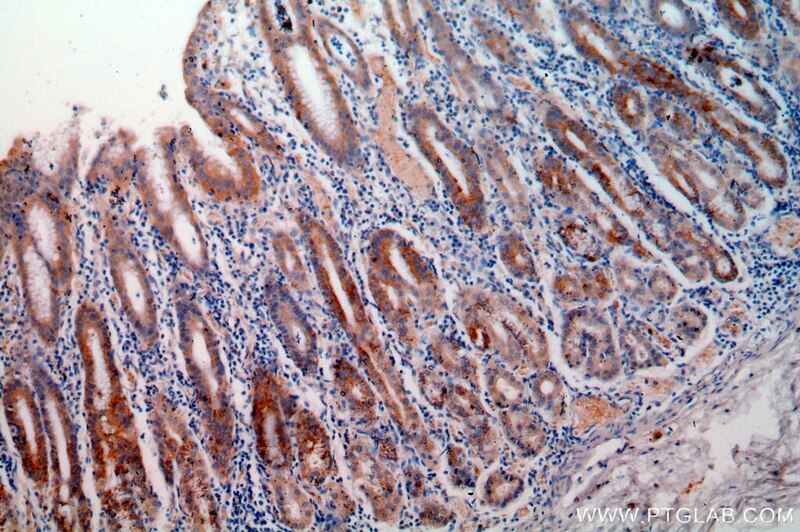 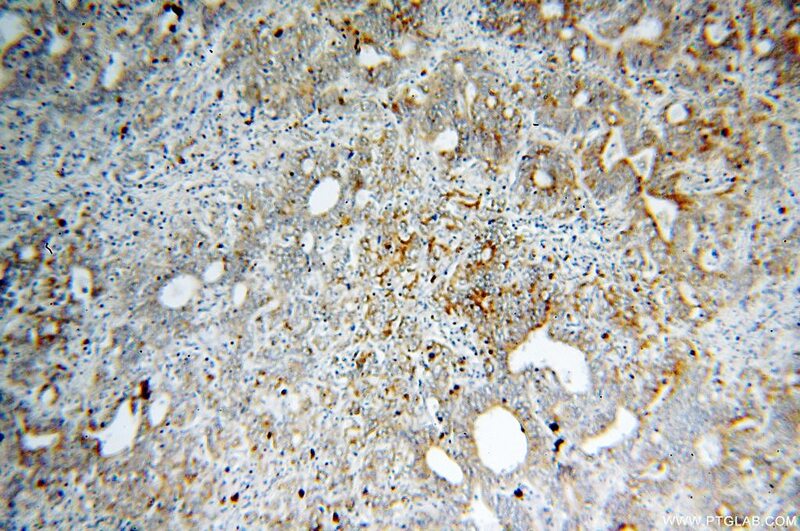 Decreased expression of Calpain-9 predicts unfavorable prognosis in patients with gastric cancer.